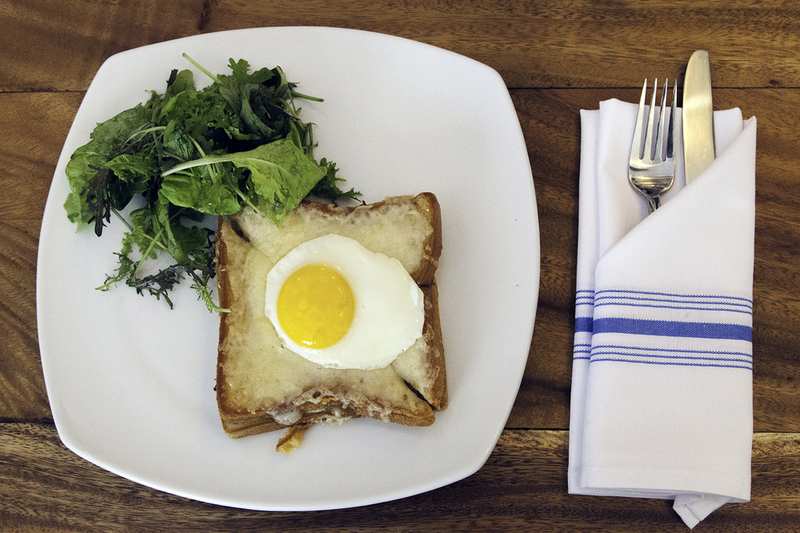 Talk about the most perfectly grilled ham and cheese sandwich topped with an egg. It’s a religious experience! Delicious jidori chicken on a baguette. A little pricey, but what a great place to impress business clients. I’m pretty sure this sandwich has gotten a major overhaul from the chef because now there’s more chicken full of Hawai‘i flavors and a nice bed of salad on the side. Still tastes great when you order to-go! Make sure you get a reservation because TP&TL is the hottest ticket for lunch and dinner. This banh mi has everything you’ve dreamed in a sandwich: pork belly, ham, pâté, and oh my goodness, it’s topped with an egg.